There are 14 other images of this object. See our image rights statement. This is a Sidewall - sample. It was manufactured by Marburger Tapetenfabrik. We acquired it in 1958. Its medium is machine-printed paper. It is a part of the Wallcoverings department. This object was featured in our Object of the Day series in a post titled Boys Will Be Boys. This object was donated by Marburger Tapetenfabrik. 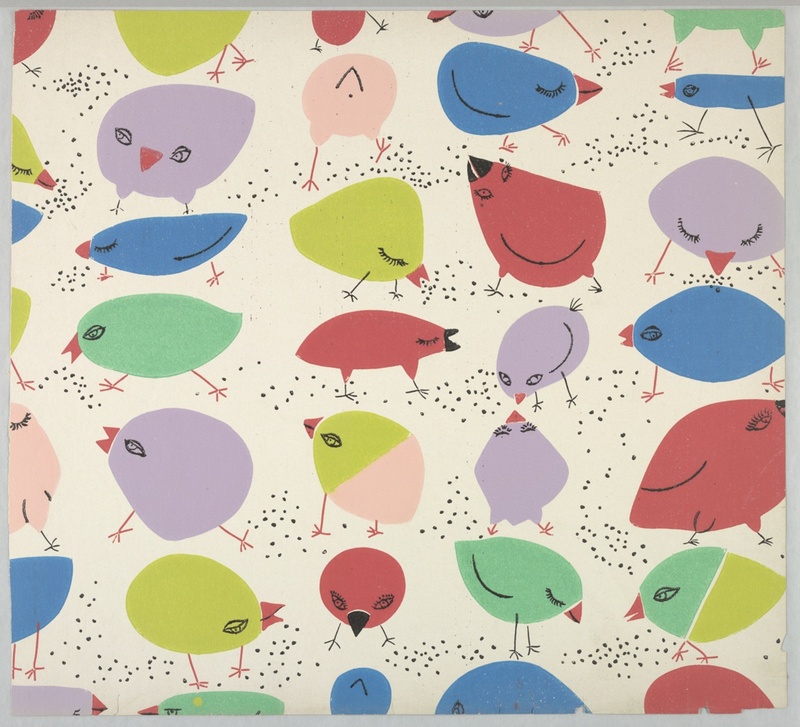 This object was previously on display as a part of the exhibitions	Wall Stories: Children's Wallpapers and Books and Kitsch to Corbusier: Wallpapers from the 1950s.